Whether you're feeling competitive or just want to get some constructive feedback on your homemade wines and cheeses, this year you can enter both in the San Diego County Fair! Last year one of our customers won Best of Show with his first wine kit ever -- this year it could be you! See more information below about entering. There will also be a Homemade Cheeses contest for the first time at the San Diego County Fair! More information coming very soon -- check our Facebook page, the Queso Diego San Diego Cheese Club website, or the San Diego County Fair website for entry details. Now is also a great time to start thinking about the wines and cheeses you want to give as gifts for the holidays. We have a great selection of wine kits in stock, but if we don't have it we can get almost any varietal from anywhere in the world from Winexpert or Cellar Craft -- contact us with what you're interested in, we'll send you a price quote and let you know if we have it or when it should arrive at Curds and Wine. You can make wine for as little as $7 a bottle with your own personalized labels! We also have 375 mL bottles available that are great gift sizes, then you can have as many as 60 bottles of wine from each kit you make! Entry fee is $10 per wine, and you must submit 2 (750 mL) bottles of wine. The best part of entering the San Diego County Fair wine competition is that you get 2 complimentary tickets to the Fair AND access to the awards ceremony, where you can meet the other contestants and get to try everyone's wines! It's a great time with lots of fun, food, and wine. 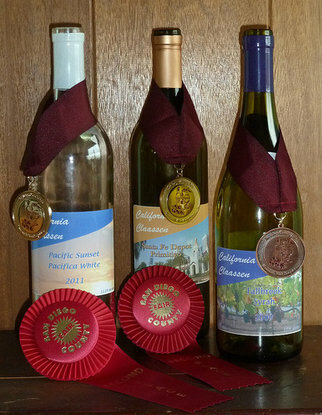 If you win a medal with a wine kit, let us know! We would like to showcase all of our winning customers. If you are a fan of the "tangy" yogurt cultures we have available, they will soon be gone! We have a few left in stock, please contact us if you want us to hold a culture pack for you. In its place we will soon be offering a "creamy" yogurt culture, which will be slightly less tangy than the "tangy" culture but will have a creamier consistency in the finished product. These cultures will also be available in a 5-pack direct set package for $5.95 at Curds and Wine. Harvest 2012 is just around the corner, and we have everything you'll need at Curds and Wine! In addition to supplies and equipment rentals, we will be offering two sets of Winemaking from Fresh Grapes Courses this year. 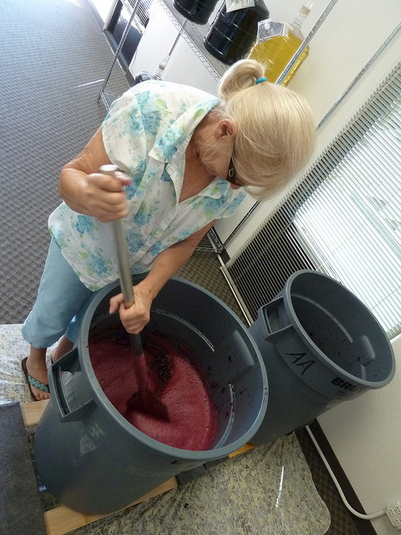 Our Grapes-to-Glass Hands-on Winemaking Course has already sold out for Harvest 2012, but we also offer the Basic Winemaking from Fresh Grapes 3-seminar series to teach you all the basics of making wine from fresh grapes. Seminars will begin in June and continue through August, with Hands-on classes extending through October. Two AMAZING new wine kits with grape skins are now available from Winexpert: Italian Brunello and Italian Amarone. Both kits will be available at Curds and Wine, contact us to reserve yours today! You can always make these great new wine kits, or any wine kits, on site at Curds and Wine. You pay the cost of the wine kit(s) and can make up to 3 wine kits per session (visit) with your paid vintning fee: $100 vintning fee for the first wine kit, $50 for the second wine kit, and $25 for the third wine kit started per session. Each initial $100 vinting fee qualifies for our Vintner's Value program. If you have not made a wine kit before, or have limited space to make wine at home, making wine on site at Curds and Wine is a great way to get started! Contact us to set up your appointment today!